Feeling the love? Whether it’s a budget or blowout experience you’re after, we’ve rounded up the city’s best Valentine’s Day offers. From private cabanas, to dinners for two with your toes in the sand, to a quick meal with no frills, we’ve got you covered come February 14. 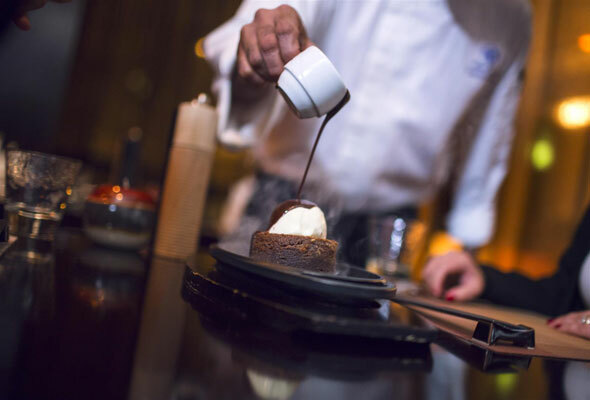 New hotspot STK Dubai is serving up a three-course set menu this Valentine’s Day. With a glass of sparkling on arrival, a rose for your special someone and a live saxophonist, expect a lively atmosphere with a romantic touch. 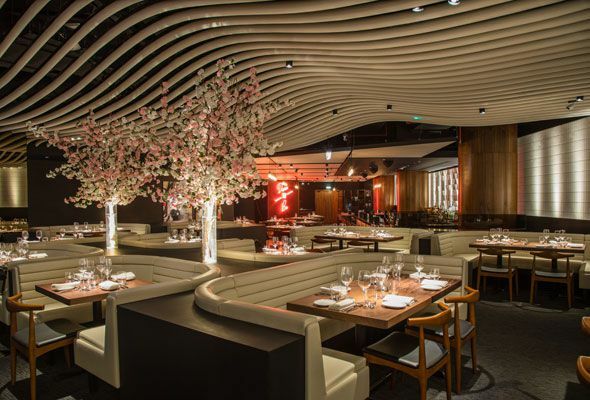 The menu comes with a complimentary amuse bouche and an array of STK favourites to choose from, including burrata, beef tartare and roasted octopus to start, followed by a choice of steak, roasted salmon or pot pie for the veggies. There’s a little “guilty pleasure” for dessert, too. Valentine’s Day doesn’t always have to be about fancy food and candlelit dinners. 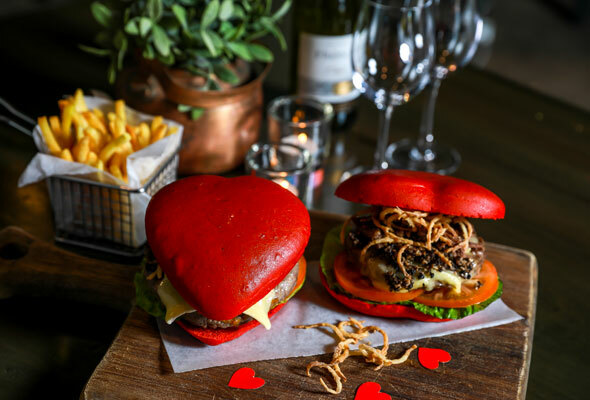 Burger fans can get their hands on a Valentine’s Day burger at three Dubai restaurants that comes in a heart shaped, vibrant red patty. The burger, available at Left Bank, Après MOE and Mr. Toads, is stuffed with truffle cheese, pulled beef brisket, and crispy fried onions. 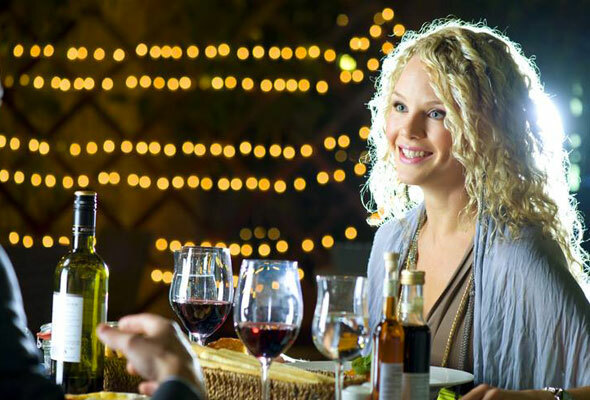 Pair it with two glasses of wine for Dhs175 per couple. Popular Marina eatery The Scene is keeping things simple this Valentine’s Day with a themed three-course set menu of British eats. The menu includes a glass of bubbles and is priced at Dhs249 per person. Bottles will also be available starting from Dhs150 for house wine. The city’s only revolving restaurant, Al Dawaar, will not only be offering up 360-degree views of the city’s skyline on Valentine’s Day, but they’ll also be putting on a nostalgic 80s themed dinner. 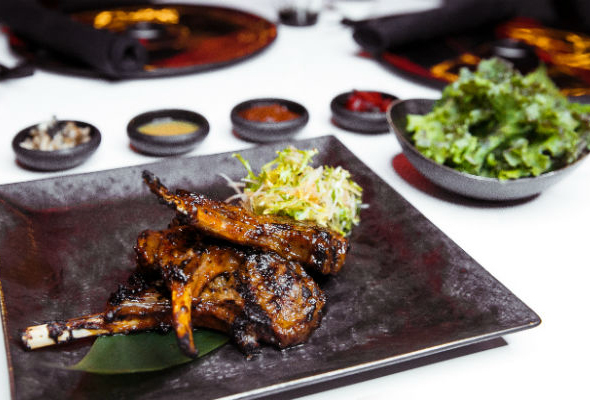 The live kitchen will serve international delicacies from the tandoor, wok fry, rotisserie, steam pots and frying pans alongside an array of salads, a sushi and sashimi showcase, ‘catch of the day’ and islands of cooked and raw seafood items. Drift might just be our favourite new beachside spot. 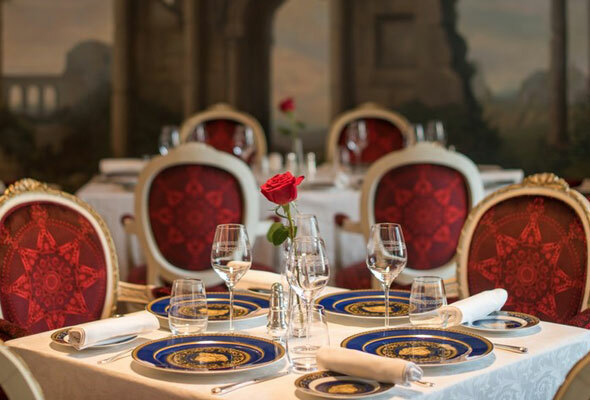 Set in the grounds of the One & Only Royal Mirage, it’s serving up an a la carte offering of its Provençal cuisine on February 14. 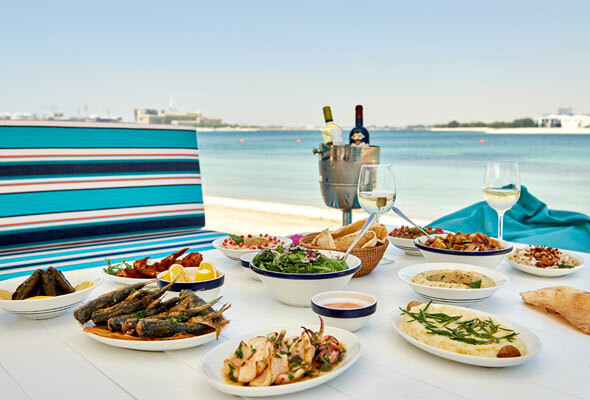 As well as providing an idyllic beachside location, there’ll be a live saxophonist and seafood specials at Drift’s iconic Raw Bar, where caviar, freshly shucked oysters and lobster will be served on ice accompanied by Valentine’s Day inspired cocktails. With a five-course dinner coupled with some incredible views from the 68th floor, Prime68 is offering a Valentine’s Day deal that isn’t for those with vertigo. Sip a welcome glass of bubbly, followed by a themed set menu. For a wow-worthy Valentine’s Day, head to Level 42 at the Shangri-La for a picture-perfect dinner on the terrace. 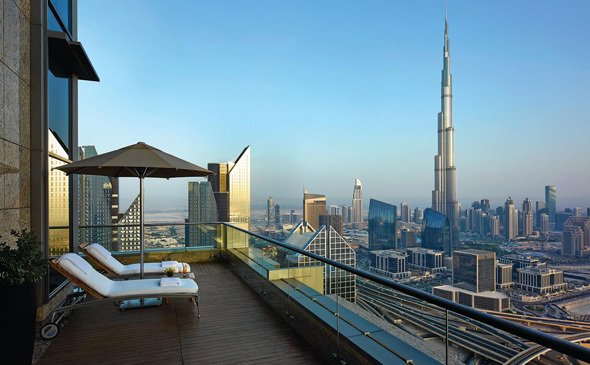 It’s got some stunning views of Downtown and the Burj, and a specially curated five-course menu. The package includes bubbly, and is set to the sounds of a live harpist. Dine under the stars on the most romantic evening of the year with views across the Dubai skyline. The Crowne Plaza is offering a poolside set menu with highlights including lobster, veal and chocolate pudding. This lively French party spot is offering a Valentine’s themed menu curated by one of our favourite local chefs, Timothy Newton. The set menu includes dishes such as fillet mignon, lobster tortellini and rose panacotta. It can be upgraded to include a bottle of rose champagne. Sean Connolly at Dubai Opera is hosting a themed Date Night Brunch on Valentine’s night. Kicking off at 7pm in the Secret Garden, there’s three packages such as ‘Ball and Chain’ and ‘Blind Date’ with prices starting from Dhs390 per person. It’s one for both couples and groups of mates. 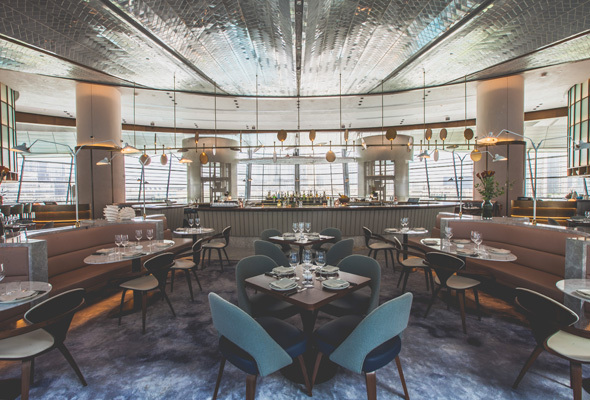 The chic Parisian La Cantine du Faubourg is hosting a Valentine’s dinner complete with a special themed menu, a romantic set-up of white tablecloths and chandeliers, live entertainment and a diamond ring to be won by one lucky diner. It’s an a la carte menu with a Valentine’s theme, featuring dishes such as roasted scallops and grilled beef tenderloin. 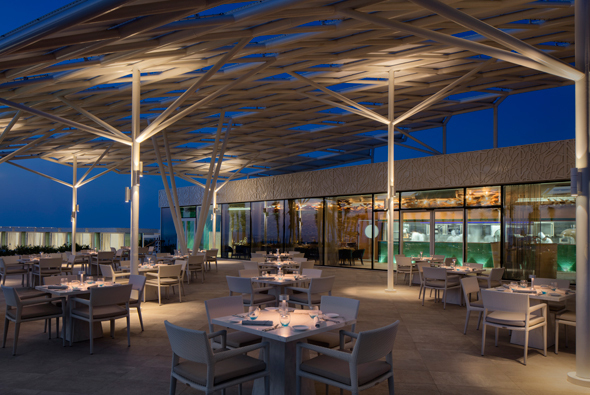 Treat your loved one to a dinner at the famous Burj Al Arab restaurant, Scape. The special four-course menu will feature some of the restaurant’s unique Californian fusion dishes. 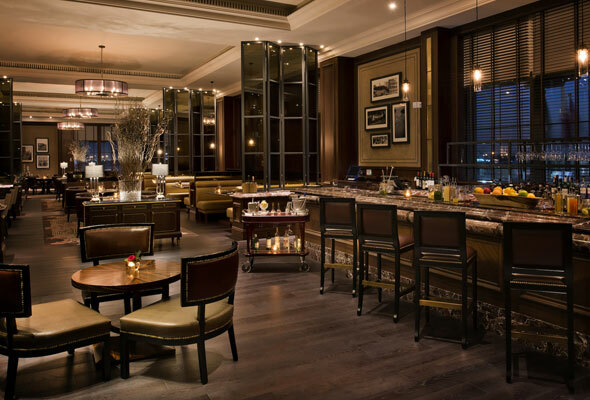 For an evening of steak and jazz, head to J&G steakhouse at the St Regis. There’s a themed five-course menu specially curated by head chef Diego Solis which includes braised oyster blade, traditional truffle potato dauphinoise and strawberry vanilla vacherin alongside live jazz from the resident jazz duo. 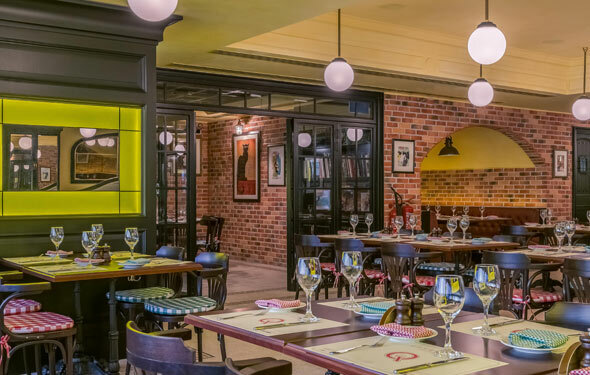 Keeping it casual, Couqley, the cosy French bistro in JLT, welcomes guests to enjoy ‘The Love Menu’ on February 14 – a three-course meal of simple French flavours. Their signature steak frites are a house favourite, along with homemade ravioli, and escargots de Bourgogne. Traditional French desserts on the menu include sorbet & ice Cream, crème brûlée, and the classic pain perdu, the original French toast. 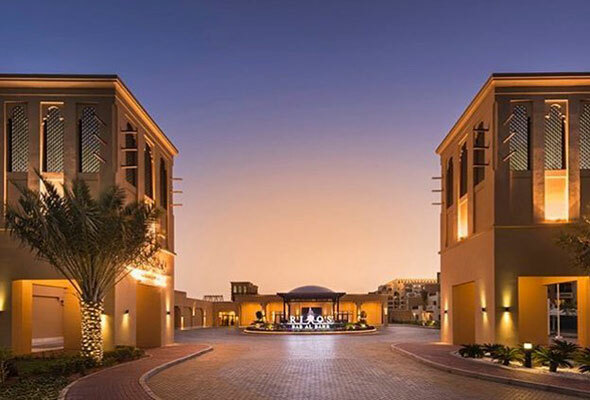 Begin your evening with an abra ride through Madinat Jumeirah before docking for a romantic Thai meal for two. Pai Thai has one of the best spots within the Madinat, and there’s a special Thai dancer for the evening, too. 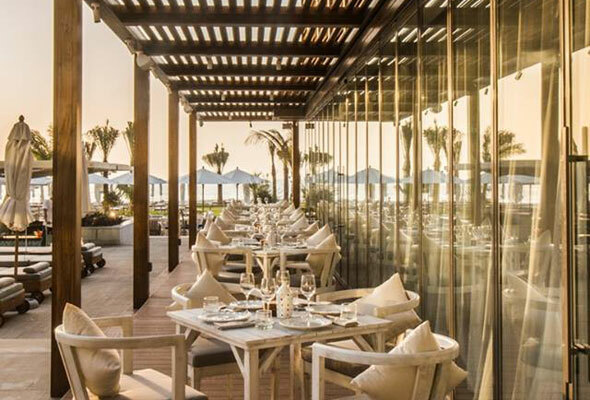 With stunning sunset views overlooking the shores of Palm Jumeriah, Ibn AlBahr is a great seaside spot to celebrate Valentine’s Day. The Valentine’s Day set menu is priced at Dhs500 for two, and includes a selection of hot and cold bait items including hummus, fattoush and local clams, a choice of two mains and a chocolate mousse for two. A bottle of wine and soft drinks are also included. Food lovers can plan a dining experience at one of Anantara The Palm’s two signature restaurants; Mekong or Bushman’s Restaurant and Bar. We love Mekong with its rustic décor and a glimpse of the shoreline, it’s a great spot to tuck into Asian food with your significant other. Tuck into a special set menu under the moonlight at Cabana and take in the stunning views of Burj Khalifa while you enjoy a four or six-course dinner. For a more intimate evening, opt for a private cabana. 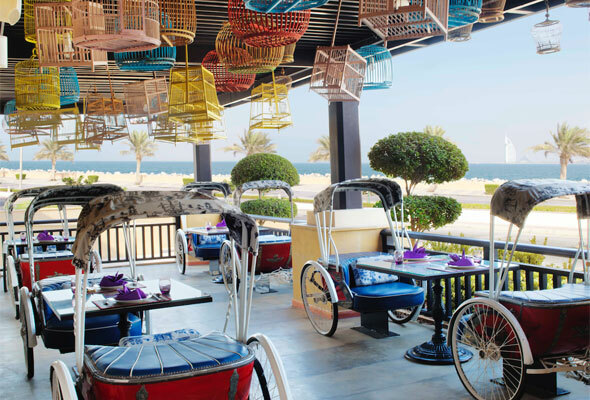 The recently launched 4Two at Habtoor Grand Resort is dubbed Dubai’s smallest restaurant. Designed just for two, spoil your significant other this Valentine’s Day with a four-course set menu in a romantic candlelit cabana within the leafy grounds of the hotel’s five-star resort. Nick Alvis and Scott Price have created a five-course set menu especially for Valentine’s. It includes dishes such as a crispy hen’s egg with pancetta and maple syrup and lobster with lemongrass and coriander. Book a table on the terrace for picture-perfect sunset views. Does anyone do romance better than the Italians? 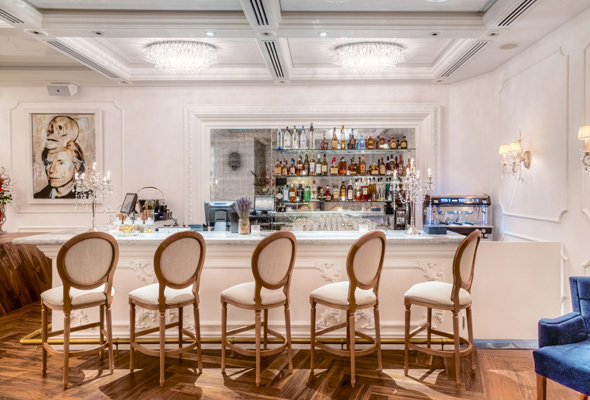 For an authentic Italian experience, head to Vanitas at Palazzo Versace. It’s a four-course set menu of ‘Costolette di manzo disossate’ and ‘Carbonara di fregola al tartufo’. In celebration of love, Teatro is serving all couples a four-course set-menu for Dhs750 per couple. Not in the mood for a set menu? The international a la carte menu is still available. 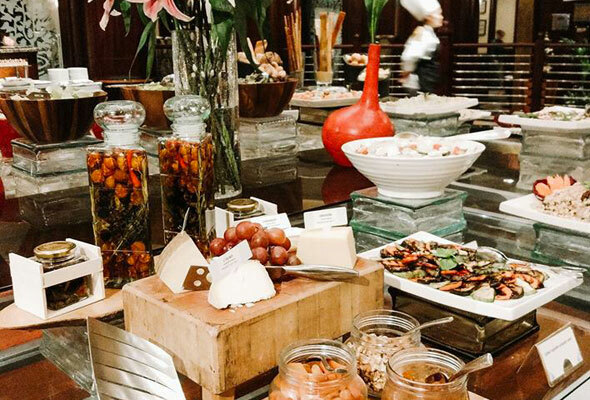 The Californian Restaurant in the Dusit Thani will host an international themed buffet on Valentine’s Day. 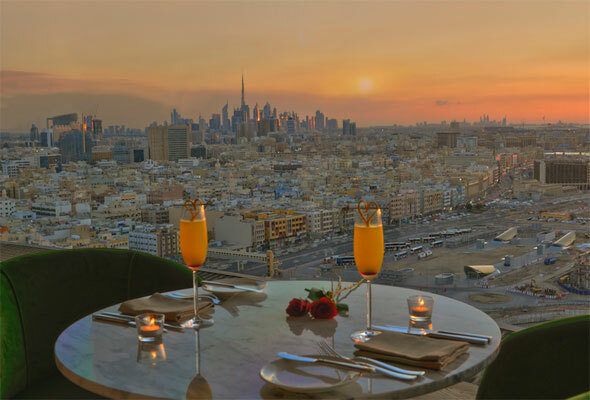 The best seats by the window are on first come, first served basis so be sure to secure your table with stunning views of the Burj Khalifa and Downtown Dubai early. All reservations come with a welcome glass of bubbly and a bouquet of flowers. Experience authentic Korean cuisine at Namu’s cheeky Valentine’s celebration, ‘K-Pop Your Cherry’ at W Dubai. It’s a five-course menu including a signature welcome cocktail. 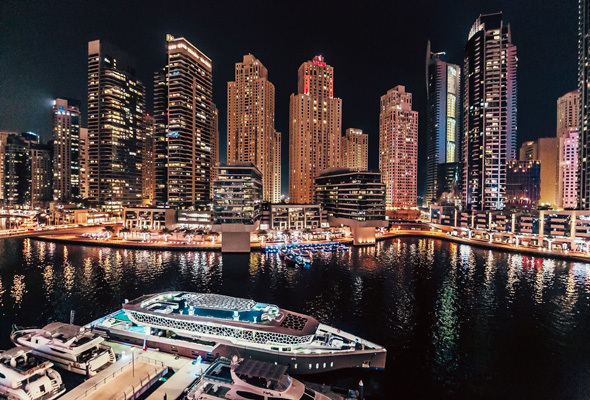 Request a table by the window for panoramic Dubai Canal views. 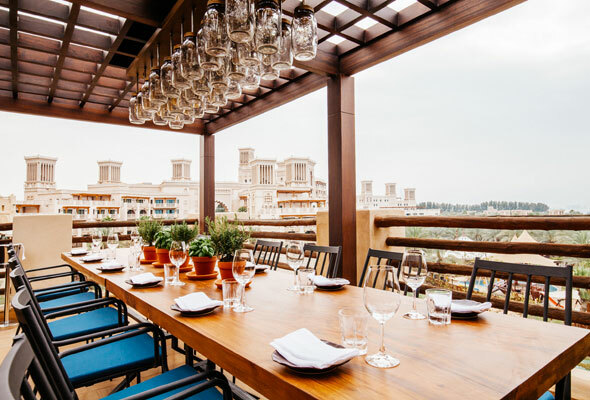 Poolside Mediterranean spot Riviera Seafood grill is combining its Greek, Spanish, French and Italian fusion heritage for a one-off Valentine’s set menu on February 14. It will be a three-course a la carte offering, with special discounts on oysters and fine wines. 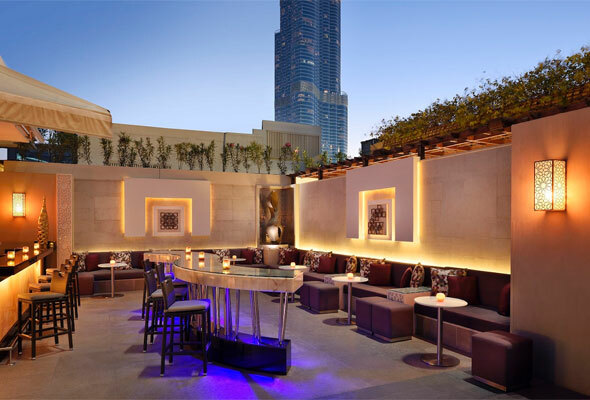 Set against the glistening skyline of the city, enjoy an intimate dinner poolside at La Ville’s LookUp rooftop terrace. It’s a four-course menu that comes with either soft drinks or a wine pairing. 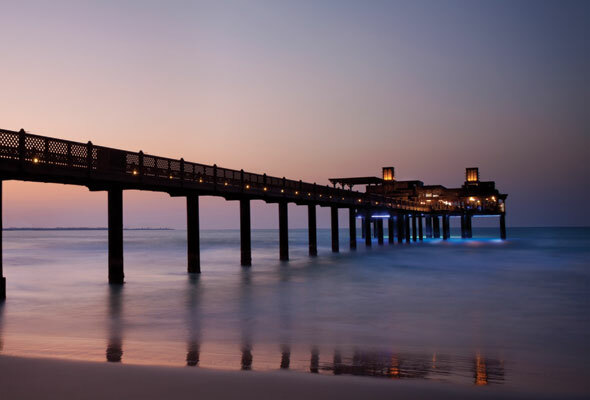 Frequently listed as one of the most romantic spots in city, Pierchic is offering a five-course set menu, served with a special Valentine’s Day cocktail and panoramic views of the sparkling Arabian Gulf. Not looking to blow the budget this Valentine’s Day? 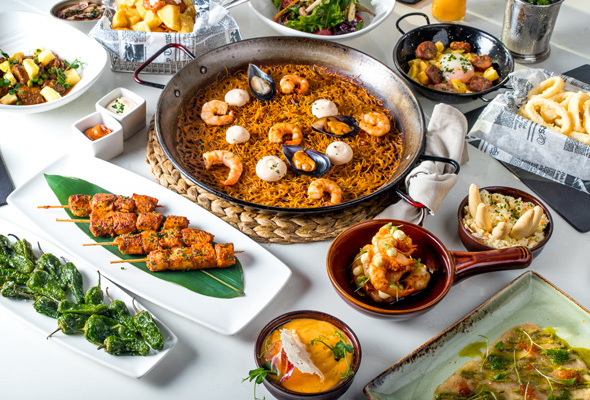 Alfresco Spanish spot El Sur is serving a three-course meal with wine pairings for just Dhs600 per couple with a Valentine’s themed welcome cocktail. Want to go all out this year? 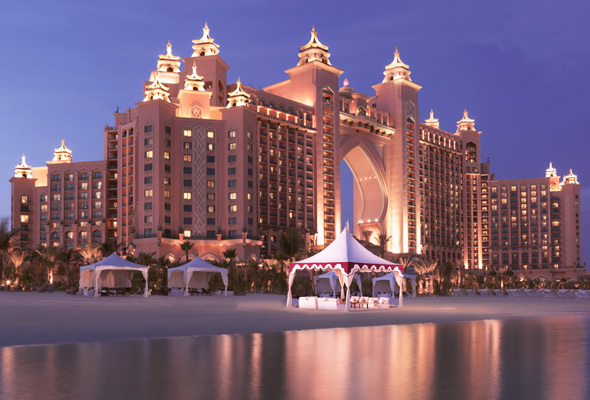 For a Valentine’s Day to remember, couples can book a candlelit cabana and dine under the stars at Atlantis, The Palm’s Royal Beach. Canapés, a seven-course set menu, champagne and a live violinist complete the evening. 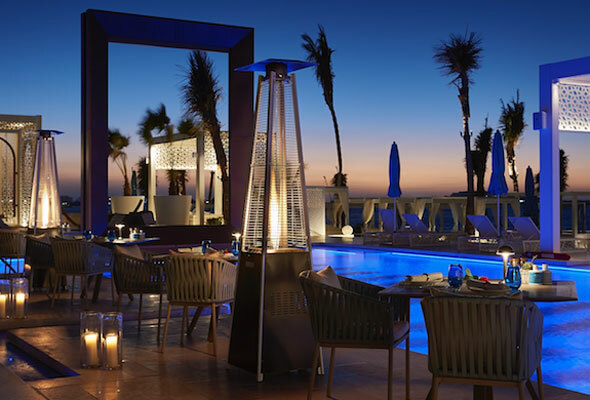 If you fancy heading slightly further afield, or if you’re Ras Al Khaimah-based, enjoy an intimate dinner beachside at the Rixos Bab Al Bahr. The four-course menu includes a bottle of bubbly, a gift for the lady and live violin performance.